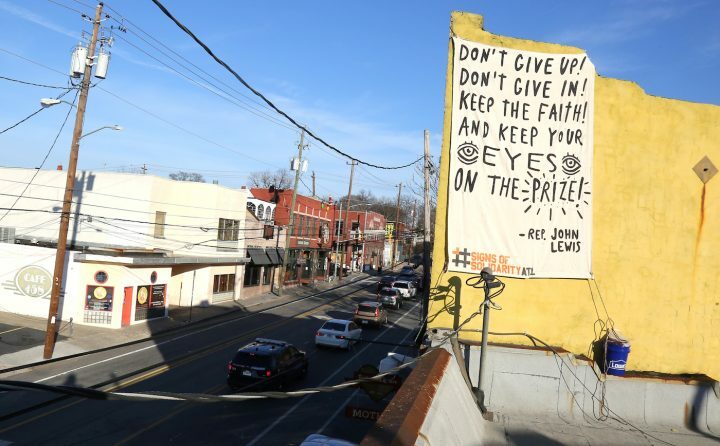 The facades of dozens of buildings around Philadelphia and Atlanta are now adorned with messages of love, unity, and resilience. 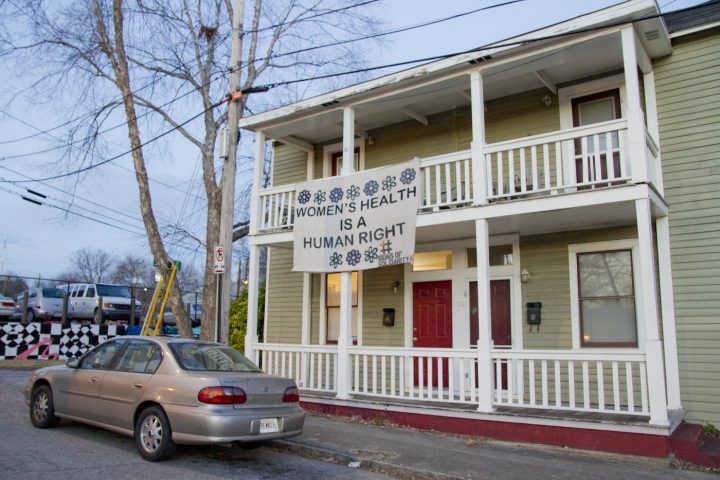 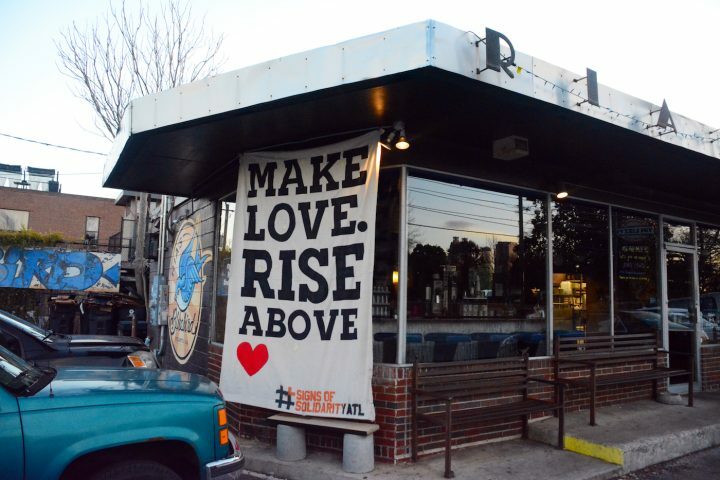 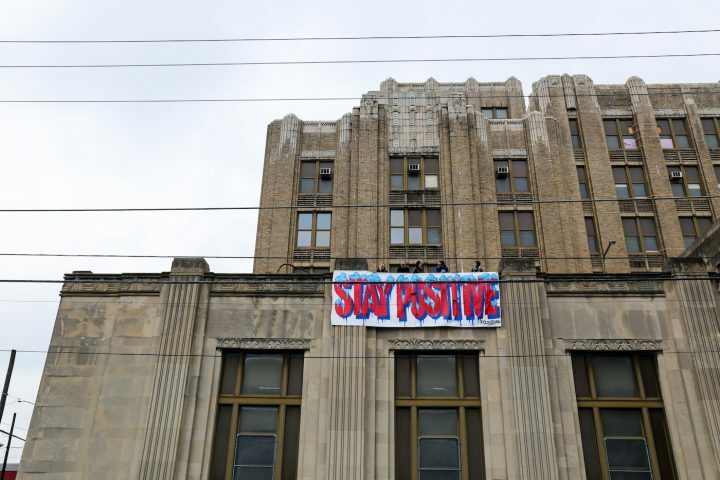 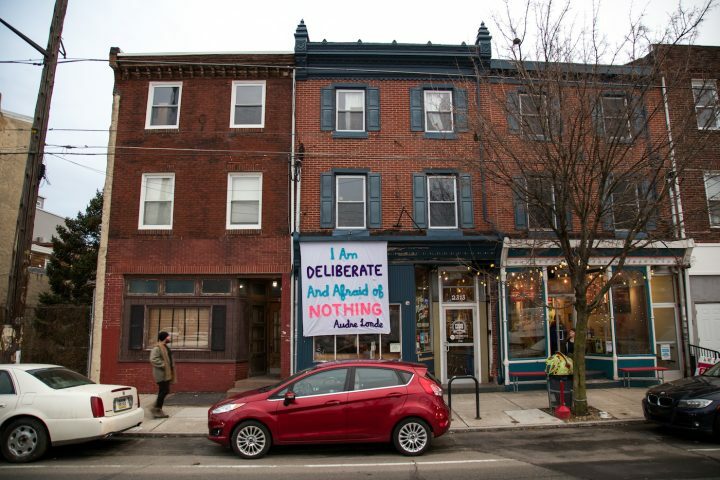 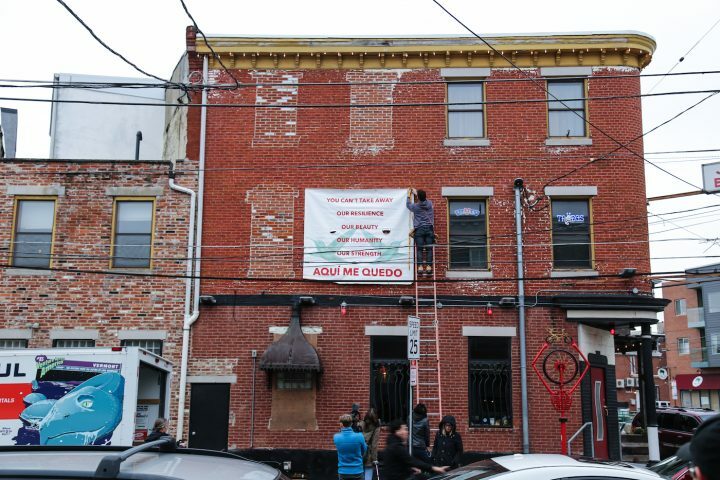 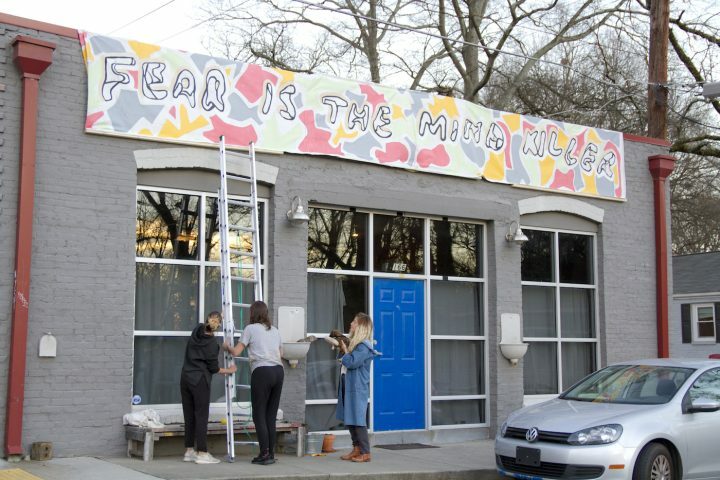 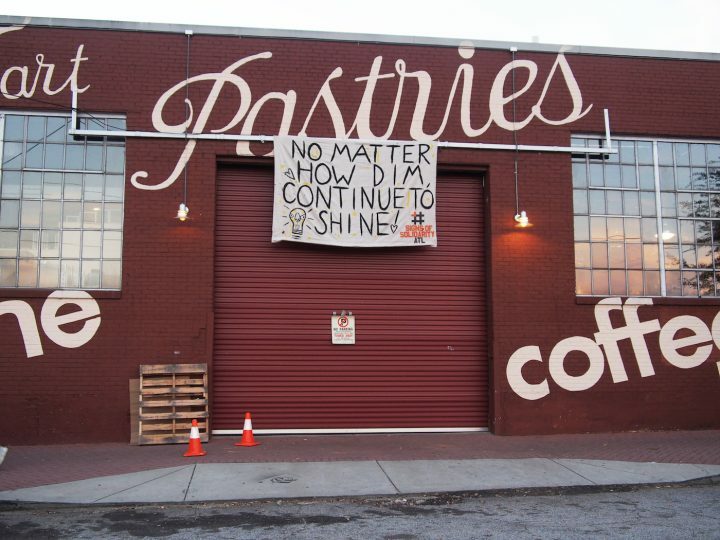 Banners painted with messages of love, unity, and resilience now adorn the facades of dozens of buildings around Philadelphia and Atlanta as a response to what organizers of the coordinated drops describe as “a global shift towards fear and exclusivity.​” Although the dual-city effort’s urge for America to come together launched today to coincide with Donald Trump’s inauguration, it is not a protest directed at America’s least popular president in decades but rather serves as a visual stance against hate and divisiveness during this particularly tense weekend. 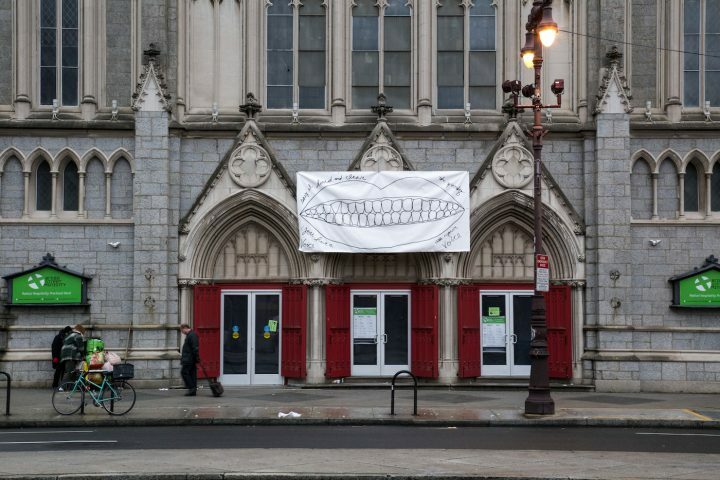 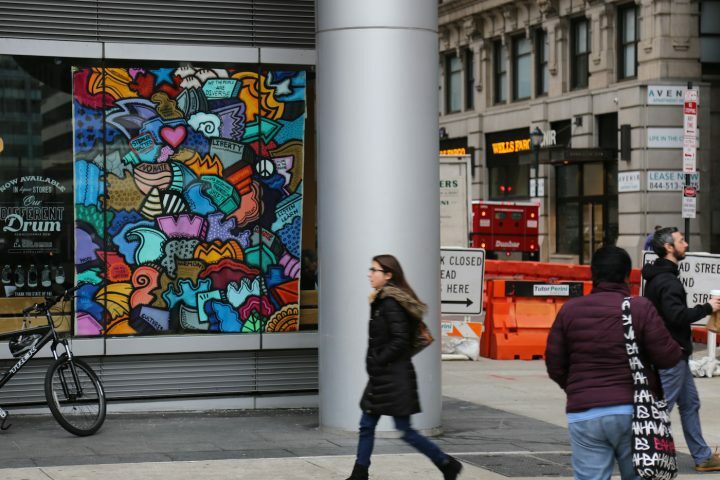 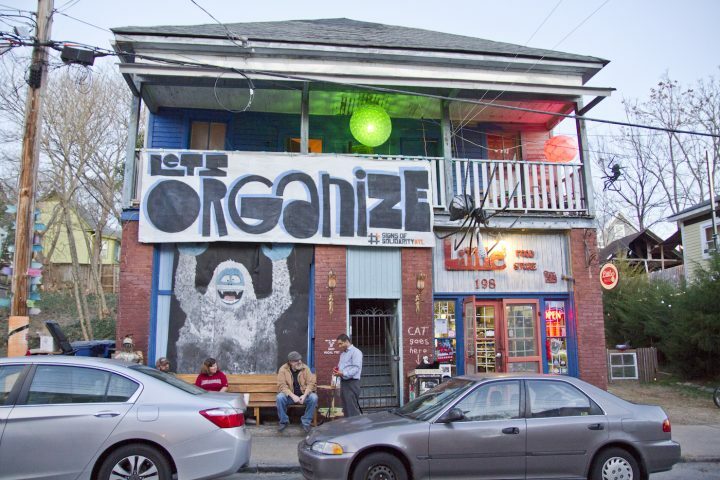 Over 100 artists and arts organizations spread across Philadelphia and Atlanta have contributed their colorful creations, which now adorn art spaces but also churches, bars, retail stores, restaurants, and tattoo parlors, whose owners have signed onto the project as well. 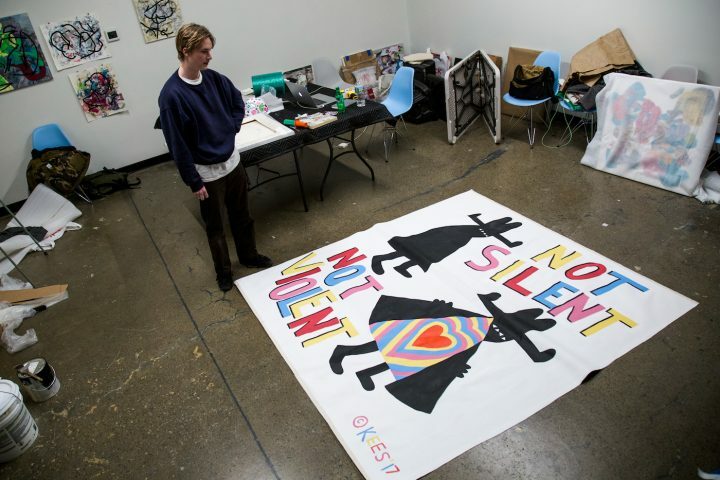 These #SignsofSolidarity, as the action is called, include phrases like, “Girls w/ dreams become women w/ vision”; “No Matter How Dim, Continue To Shine”; “Moral outrage is born of love”; and “This is not normal. 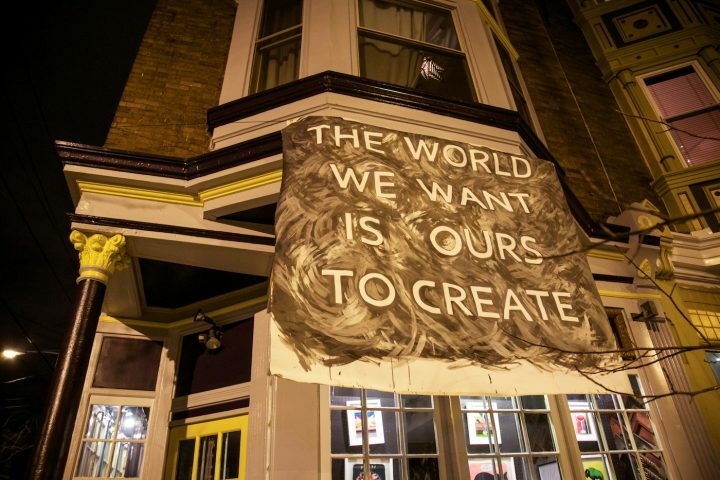 But we are not normal either. 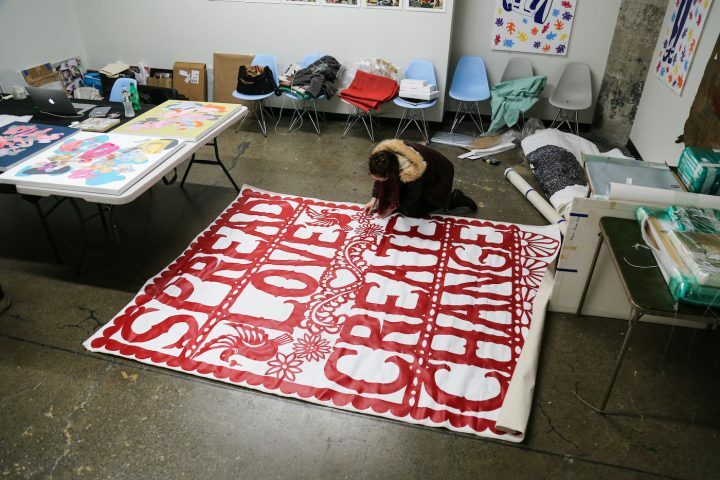 We will change the ordinary by being extraordinary.” They remain up through January 22. 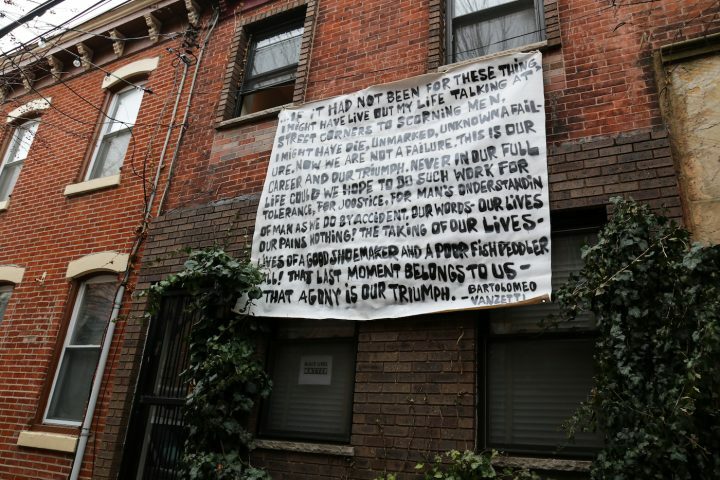 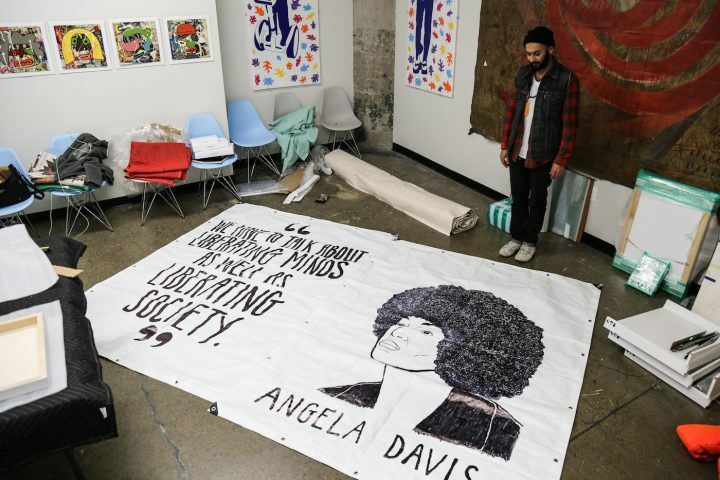 #SignsofSolidarity began in Philadelphia, initially conceived as a banner drop confined to private homes. 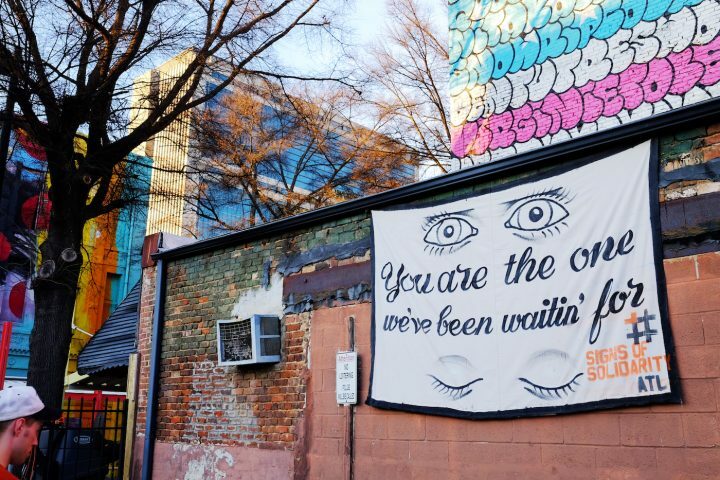 It quickly grew, though, into a city-wide endeavor and crossed the 800 miles into Atlanta after Monica Campana of local nonprofit Living Walls heard about it. 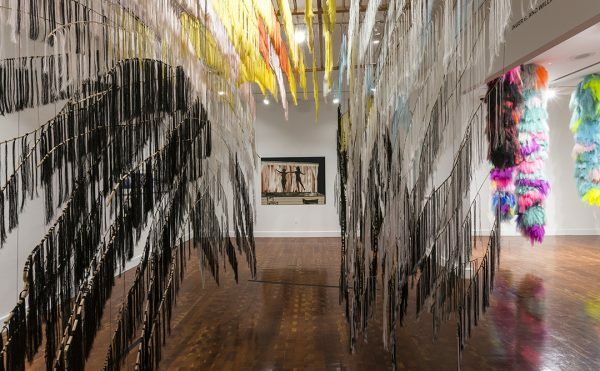 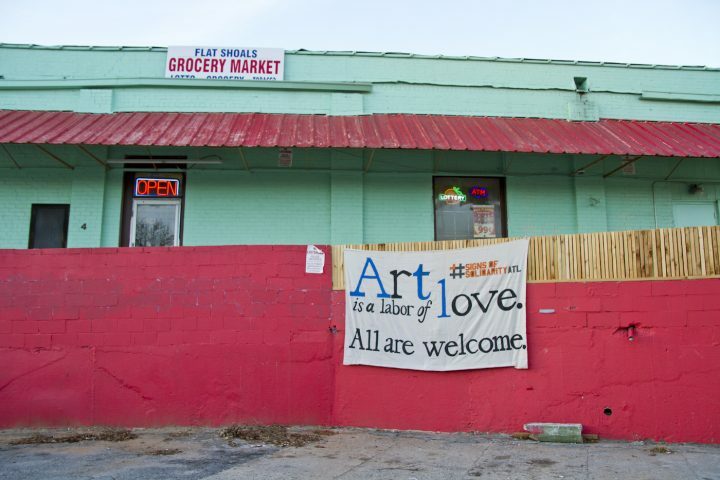 After contacting Benner and his collaborators to express her interest in replicating their efforts in the cradle of the civil rights movement, she began reaching out to people in the Atlanta arts community, and many responded swiftly. 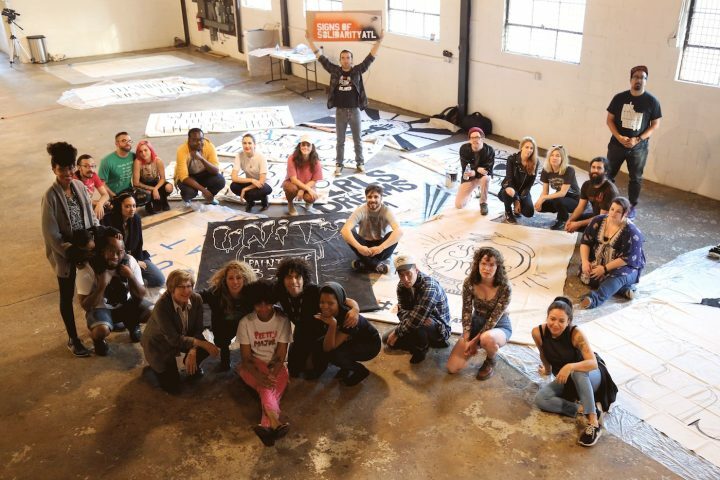 While many people are headed to Washington, DC or New York City to join actions including the Women’s March on Washington and that on New York; Black, Brown & Indigenous Mobilize Against White Nationalism; #InaugurateTheResistance; and #NotMyPresident, many others are unable to attend these actions even if they wish to. 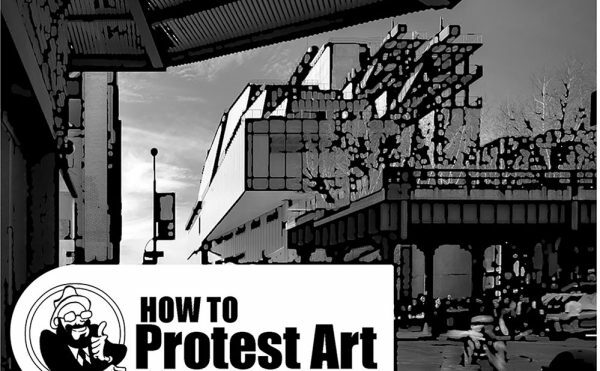 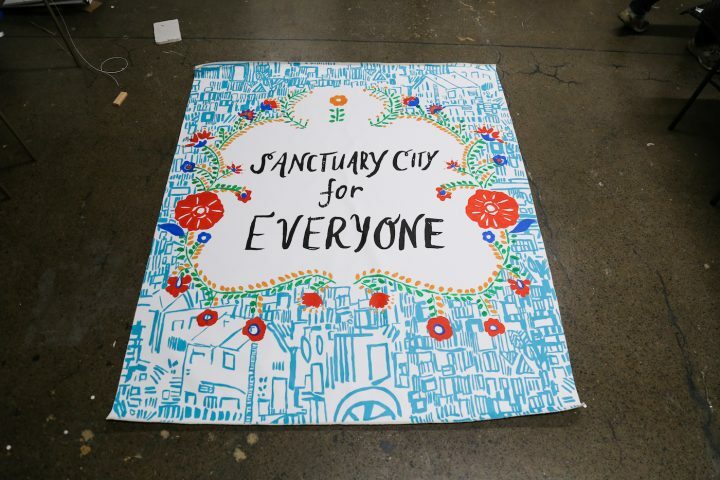 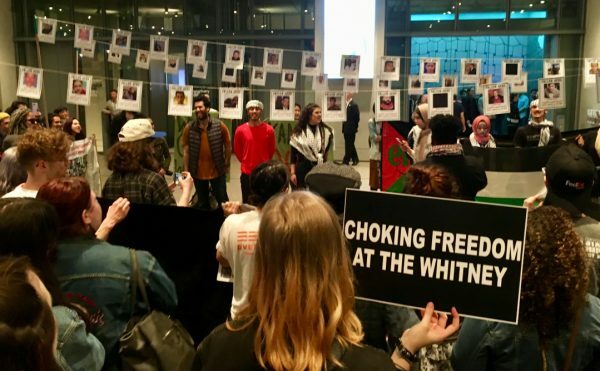 Spread across two cities, #SignsofSolidarity offers an opportunity for artists to respond, loudly, to the election in their own towns while creating a connection with communities beyond these local borders.